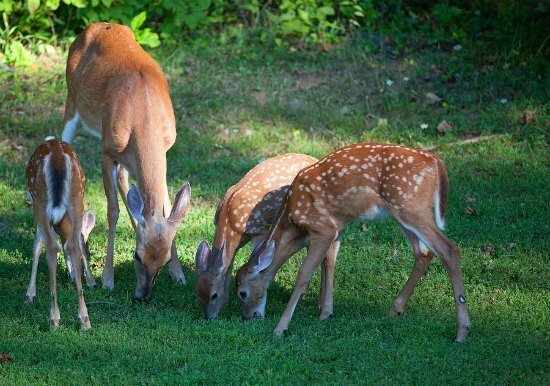 Do you live in an area where wildlife is abundant? One of the problems with having a garden that is not surrounded by a fence is, it might be a tasty buffet for animals like deer. If you have a problem, then a simple deterrent for deer may be a perfect solution. A simple deterrent for deer does not need to be expensive. In fact, an inexpensive solution may actually be the most effective. Deer are super easy to spook and can be scared off by using sounds or something that looks threatening. You just need to know what deer will avoid. Believe it or not, but rubber snakes are a simple deterrent for deer. They do not come into places where snakes are present. The best thing is you can buy rubber snakes or make your own. Simply set the rubber snakes around the perimeter of the garden or where crops are growing.